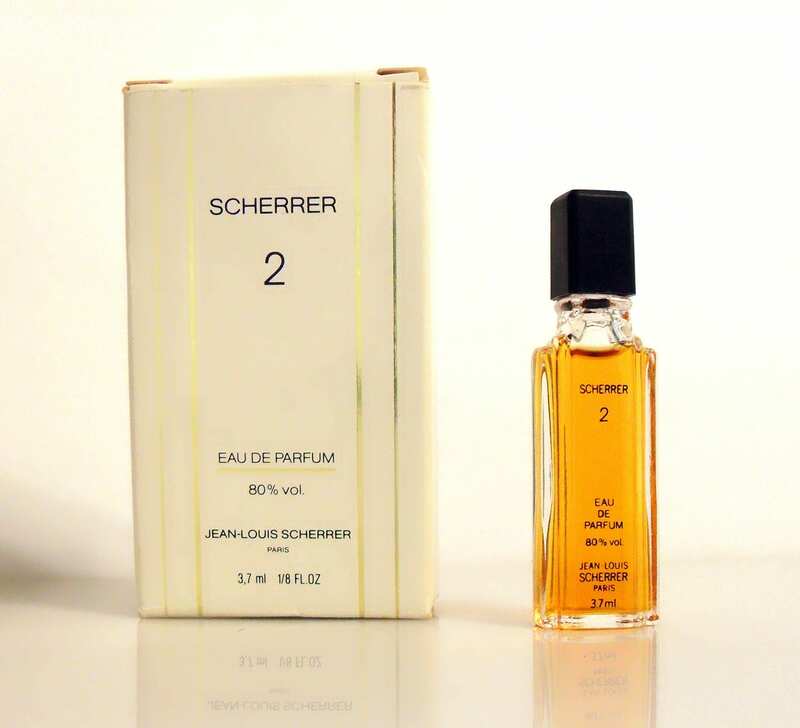 Vintage 1980s Scherrer 2 by Jean-Louis Scherrer 3.7 ml Eau de Parfum Splash Miniature Perfume and Box. The bottle is full of the original perfume - see photo for the actual fill line. The perfume is old and no longer fresh. 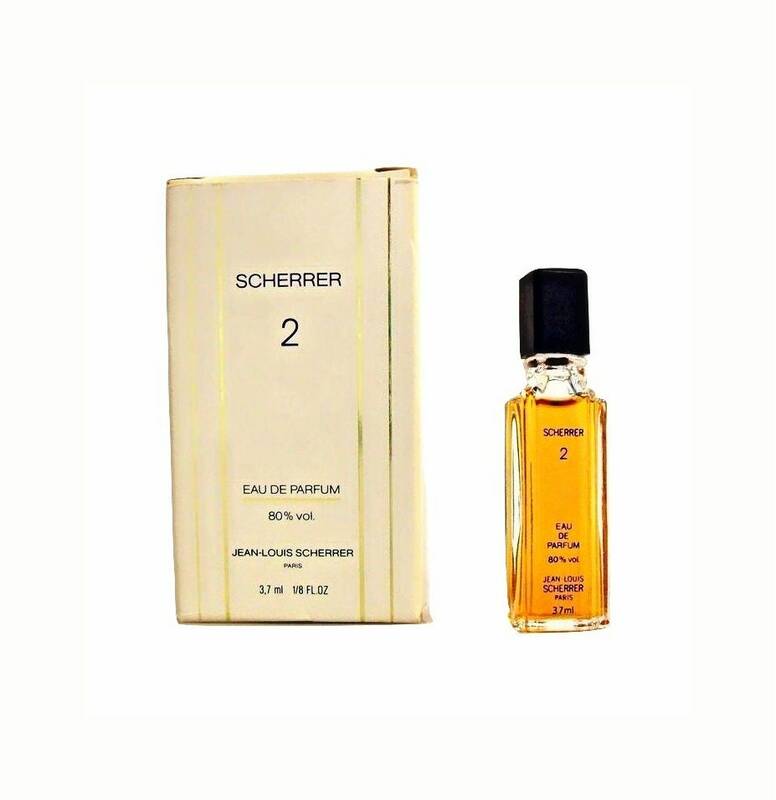 Launched in 1986, it is classified as an aldehydic floral fragrance for women. It begins with a fruity aldehydic top, followed by a radiant floral heart, resting on a powdery base. Miniature perfumes are generally under 3" tall. Micro minis are under 1" in height. All fragrance miniature bottles (mini perfumes/colognes) on my site are being sold as collectibles only. Fragrance miniatures were often sold along with larger bottles by the manufacturers as gift with purchases and may have the words "Gift Not For Resale" on them. All the miniature fragrances I have in my shop come from my personal collection of perfume minis, some were purchased new when they were originally launched and some were purchased second hand and therefore may have been used. What you see for sale in my shop are doubles in my collection that I am looking to downsize. I do not use these perfumes myself and only used them as collectibles, the ones that are boxed were kept boxed and displayed on wall shelves. Please understand that I do not test any of these when listing and do not sell them for the fragrances contained in their bottles as these are old and most of the time they have turned and are no longer wearable. Please keep this in mind before you purchase, as there will be no returns accepted on these items. Please pay within 3 days of purchase. If you need more time, please contact me. If you are buying more than one item, please contact me to let me know so I can adjust your invoice and shipping costs. I can also do a layaway plan for you if you need to pay over time. Shipment of item will resume upon final payment. Please contact me immediately if your shipping address is different than the one posted on Etsy. Please contact me immediately if your shipping address is different than the one posted on Etsy. In the event that you do not provide a correct shipping address and your package gets returned to me, you will need to pay for shipping again in order for it to be shipped again. NO REFUNDS will be made for items that are returned due to this problem. I will hold your items until such time as a you provide a corrected shipping address and payment for re-shipping is made. A special private listing will be set up for you to pay for shipping, once this is paid for, another shipping attempt will be made to the corrected shipping destination. For my USA buyers - I ship via USPS Priority Mail with insurance (it also comes with a tracking number). I will combine multiple orders to save you on shipping costs. For my international buyers - Regarding the transport insurance the actual value of the content of the package is specified to the shipping company. Buyers are responsible for additional costs caused by import/shipping that is levied by the various authorities in their own country. Import duties, VAT and other possible (tax) charges fall outside the responsibility of me and are the responsibility of the buyer. The buyer is personally responsible to inform themselves in advance of the charges levied in the country where the package is to be dispatched at the request of the buyer. ---Please be aware that Etsy is giving shoppers "MARK AS GIFT" option at checkout. This ONLY means no invoice will be included in your package. It does not mean it will be gift wrapped. It does NOT mean you are not responsible for VAT and other import taxes if you are outside the US. By the laws of your country, you are still responsible to pay these. I, or Etsy, cannot illegally mark an item as "gift" to help you avoid these taxes. Also, for international orders, the price of the item and description are on the package itself on the shipping label. Due to import/export laws, we do not have a choice in that. Your recipient will see that value on the package. Very sorry for any confusion Etsy's choice of wording may have caused. I will combine multiple orders to save you on shipping costs. As an eco-friendly shop, I don’t include an itemized invoice unless requested and I use a combination of new and clean, recycled packaging materials. ---I cannot be held responsible for mail service delays, customs hold ups, or damaged parcels since they are beyond my control once the parcel is shipped. ---I cannot be held responsible for accidents and damage caused by broken glass/ceramics, etc. or for accidents/damage resulting from the transit and during unpacking. I am not liable for alleged consequential damages to the object caused by the purchaser or a third party. ----In exceptional circumstances, it is possible for a sealed bottle to leak during air transportation. This leak is caused by the difference in air pressure in the airplane cabin during the flight. I pack my bottles very carefully, providing additional protection to stoppers and bottlenecks and as a precaution cover labels with plastic and tape. However, if spilled perfume may still cause damage to a label - or something else - I cannot be held responsible for this. Read the description carefully, please and take into account that the pictures complement the description. The description refers to the general condition considering the material and age of the piece. Item sold 'AS IS' by description and photos. Items are NOT sold on approval. I do not rent items. Please contact me via e-mail if you have any doubt, I will email you as soon as I can. Remember that you are buying a used item and as a vintage item it will never be as brand new. I do my absolute best to describe it as accurately as possible and always point out obvious damages or imperfections to the best of my ability, however given the age, there may always be slight imperfections that I consider as acceptable. Several pictures are provided, please inspect them carefully as they are an important part of the description as well. If you need more photos, measurements, or have any other questions, please ask BEFORE purchasing. 1) An item is sent back without my approval, it will not be reimbursed. 2) Damage to the item caused by your own hand or that of a third party. 3) A sealed product has been opened. 4) The damage(s) were caused during transport. 8) You did not read the listing and look at photos for description, details, etc. before purchasing. Please Note: The United States Post Office will NOT accept insurance claims for packages missing or stolen upon completed delivery. Once USPS makes a final delivery scan, Perfume Fetish is not responsible for items missing from the delivery location. No refunds or reimbursement are granted in this scenario. The buyer will be responsible for filing any claims with their homeowners insurance and/or making a report with local authorities. About vintage and discontinued perfumes: If you are searching for that long lost or discontinued perfume of your memory...old perfumes do deteriorate with age. Perfumes over 3-10 years start to lose their freshness and may start to smell like alcohol. Certain ingredients and compounds will break down and "turn" faster than others. The older the perfume, the less it may smell like what you may remember. Let's examine the DNA of a vintage perfume and how it ages. -----Citrus scents such as bergamot, tangerine, yuzu, neroli, grapefruit, lemongrass, verbena, citron, petitgrain, orange, lemon and lime. ------Fresh, delicate florals like lily of the valley, iris, orchid, violet, osmanthus, and , cyclamen, freesia, lilac, wisteria, peony, narcissus. -------Dark fruits such as raisins, plums, cherry, prunes, blackcurrant, fig, mulberry. Base notes often remain in the best condition. These were used as fixatives to make a perfume last longer and have the best shelf life. --------Resins and balsams: frankincense, myrrh, opoponax, olibanum, and copal, styrax, galbanum, tolu, Peru, cistus labdanum, vanilla, tonka, benzoin. --------Animalics such as leather, civet, ambergris, musk and castoreum. If you are looking to buy fresh smelling perfume, please don't buy vintage or antique as in most cases the scent will have changed! How a fragrance was stored will affect how it smells today. If the fragrance was stored in a cool, dark place, it should have fared well. But, since many people who sell perfumes today, such as myself, we often get perfumes second-hand - through auctions, estate sales, yard sales, thrift shops, friends and family or other venues. I cannot vouch for how a perfume was stored before it came into our hands, so buyer beware. I try to tell my buyers if a perfume has soured top notes, etc right in the listing. Due to the delicate nature of perfume, I am sorry but I cannot offer refunds for ANY perfume, especially vintage, antique or discontinued perfumes. Please take into account that perfumes often go through reformulations over the years due to rising perfume ingredient costs or regulations (such as IFRA) on allergens or chemical toxicities, and may not smell exactly the same as what you remember. These reformulations are not always disclosed to the public and I may have no way of knowing whether a perfume has been reformulated or not. Packaging and bottle changes are often clues that there has been a reformulation, but not always. I am a non-smoker but I often buy all of my perfumes at estate sales, auctions, yard sales, thrift shops, etc, so they are used, I do try to clean the bottles as best as I can if they smell like tobacco smoke. I try to wipe down all perfume bottles before shipping so your bottle will be clean and shiny. Also, I foster kittens from a local animal shelter and do have three adult cats in my home. The occasional stray cat hair might find it's way into a package once in awhile. Please contact me immediately if your shipping address is different than the one posted on Etsy. In the event that you do not provide a correct shipping address and your package gets returned to me, you will need to pay for shipping again in order for it to be shipped again. NO REFUNDS will be made for items that are returned due to this problem. I will hold your items until such time as a you provide a corrected shipping address and payment for re-shipping is made. A special private listing will be set up for you to pay for shipping, once this is paid for another shipping attempt will be made to the corrected shipping destination. ---I cannot be held responsible for accidents and damage caused by broken glass/ceramics/metal etc. or for accidents/damage resulting from the transit and during unpacking. I am not liable for alleged consequential damages to the object caused by the purchaser or a third party. ----In exceptional circumstances, it is possible for a sealed bottle to leak during air transportation. This leak is caused by the difference in air pressure in the airplane cabin during the flight. I pack my bottles very carefully, providing additional protection to stoppers and bottlenecks and as a precaution cover labels with foil/plastic and tape. However, if spilled perfume may still cause damage to a label - or something else - I cannot be held responsible for this. ---The United States Post Office will NOT accept insurance claims for packages missing or stolen upon completed delivery. Once USPS makes a final delivery scan, Perfume Fetish is not responsible for items missing from the delivery location. No refunds or reimbursement are granted in this scenario. The buyer will be responsible for filing any claims with their homeowners insurance and/or making a report with local authorities. Read the description carefully, please and take into account that the pictures complement the description. The description refers to the general condition considering the material and age of the piece. Item sold 'AS IS' by description and photos. Please contact me via e-mail if you have any doubt, I will email you as soon as I can. Remember that you are buying a used item and as a vintage item it will never be as brand new. I do my best to describe it as accurately as possible and always point out obvious damages or imperfections to the best of my ability, however given the age, there may always be slight imperfections that I consider as acceptable. Several pictures provided, please inspect them carefully. If you need more photos, just ask. About vintage and discontinued perfumes: If you are searching for that long lost or discontinued perfume of your memory such as Styx by Coty. Please remember that perfumes over 3-10 years start to lose their freshness and may start to smell like alcohol. The older the perfume, the less it may smell like what you may remember. If you are looking to buy fresh smelling perfume, don't buy vintage or antique! How a fragrance was stored will affect how it smells today. If the fragrance was stored in a cool, dark place, it should have fared well. 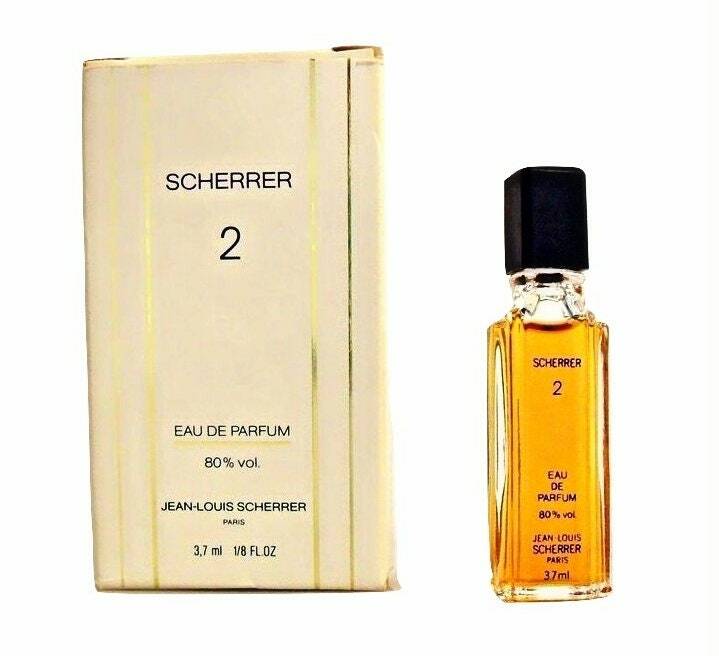 But, since many people who sell perfumes today, such as myself, we often get perfumes second hand - through auctions, estate sales, yard sales, thrift shops, friends and family or other venues. We cannot vouch for how a perfume was stored before it came into our hands, so buyer beware. 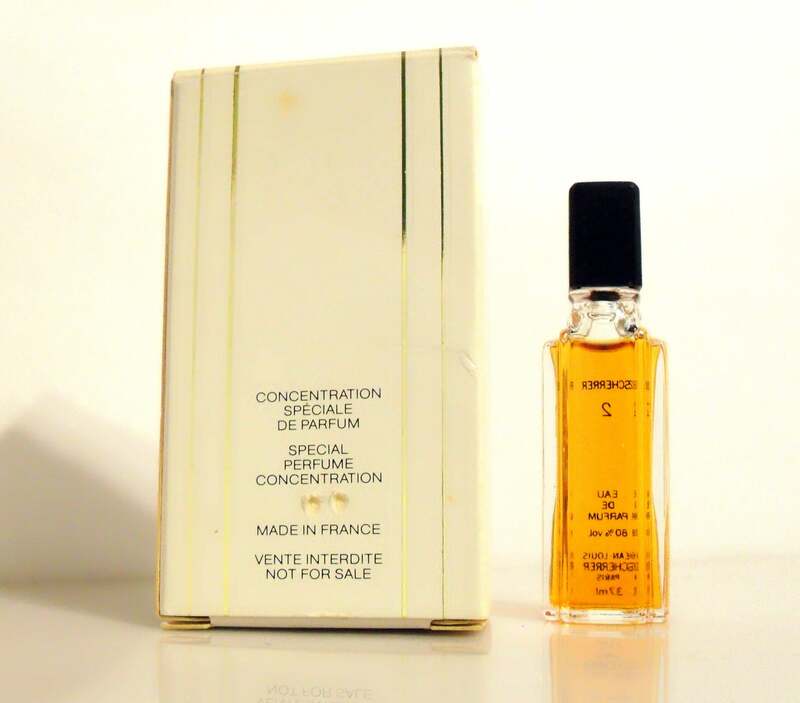 I try to tell my buyers if a perfume has soured top notes, etc right in the listing itself. I sell antique and vintage perfume bottles that may or may not contain perfume. Because of their age and have been previously owned (sometimes I can’t determine if the contents of a sealed bottles are original because I do not open sealed bottles), I offer NO guarantee on the content or (absence of) smell or originality of the perfume. This is most certainly also the case for perfume bottles which are sealed! When you ascertain abnormal smell, absence or change of a scent, I will in every case not take back the perfume bottle or make a refund. Please take into account that perfumes often go through reformulations over the years due to rising perfume ingredient costs or regulations (such as IFRA) on allergens or chemical toxicities, and may not smell exactly the same as what you remember. These reformulations are not always revealed to the public and I may have no way of knowing whether a perfume has been reformulated or not. Packaging and bottle changes are often clues that there has been a reformulation, but not always. I am cleaning out my sample boxes and selling many of my vintage, hard to find and discontinued perfume samples. Most of these are manufacturer's samples and may have the words "Not for Sale" on the card as these were promotional items from the manufacturer at the time of release and were not intended to be sold by the original retailers. However, I have purchased all of these second hand items over the years to do reviews on them for my website. Now it is time for someone else to enjoy them. All samples have been tested at least once in order for me to complete a review on them. Samples are intended to give you an idea of the fragrance before you purchase a large bottle. There are absolutely no refunds or exchanges on perfume samples or miniature perfume bottles. Miniature perfumes are generally under 3" tall. Micro minis are under 1" in height. All fragrance miniature bottles (mini perfumes/colognes) on my site are being sold as collectibles only. Fragrance miniatures were often sold along with larger bottles by the manufacturers as gift with purchases and may have the words "Gift Not For Resale" on them. Please understand that I do not test any of these and do not sell them for the fragrances contained in their bottles as these are old and most of the time they have turned and are no longer wearable. There will be no returns accepted on these items. ---I cannot be held responsible for accidents and damage caused by broken glass/ceramics etc. or for accidents/damage resulting from the transit and during unpacking. I am not liable for alleged consequential damages to the object caused by the purchaser or a third party. To fulfil your order, you must provide me with certain information (which you authorized Etsy to provide to me), such as your name, email address, postal address, payment information, and the details of the product that you’re ordering. You may also choose to provide me with additional personal information (for a custom order of perfume, for example), if you contact me directly. For purposes of EU data protection law, I, Grace E. Hummel, am the data controller of your personal information. If you have any questions or concerns, you may contact me at vintageperfumequeen@mail.com. What's The Difference Between Perfume & Cologne? Parfum: (Extrait) is the highest concentration of perfume and may contain 20-30% essential oils and high grade alcohol & a slight amount of water, can last 7 to 24 hours on the skin. Parfum is the most expensive type of fragrance. Eau de Parfum: (Esprit de Parfum/Parfum de Toilette) is composed of 10-15% of essential oils with a slightly weaker alcohol & water mix, usually last about 4-8 hours. Eau de Toilette: is a much thinner dilution of the same materials, containing approximately only 4-10% of essential oils, in an even weaker alcohol & water mixture. Usually last about 3 hours. Eau de Cologne: for men or women, is further diluted, about 3-5% of essential oils, in an even still weaker alcohol & water mix. Usually lasts about 2 hours. Please take into account that perfumes often go through reformulations over the years due to rising perfume ingredient costs or regulations (such as IFRA) on allergens or chemical toxicities, and may not smell exactly the same as what you remember. These reformulations are not always disclosed to the public and I may have no way of knowing whether a perfume has been reformulated or not. Packaging and bottle changes are often clues that there has been a reformulation, but not always. Due to the delicate nature of perfume, I am sorry but I cannot offer refunds for any perfume, especially vintage, antique or discontinued perfumes. Please remember that perfumes over 3-10 years start to lose their freshness and may start to smell like alcohol. Certain ingredients and compounds will break down and oxidize. The older the perfume, the less it may smell like what you may remember. How a fragrance was stored will affect how it smells today. If the fragrance was stored in a cool, dark place, it should have fared well. But, since I often get perfumes second-hand, mostly through estate sales, I cannot vouch for how a perfume was stored before it came into my hands, so buyer beware. Do You Accept Returns on Perfumes? Due to the delicate nature of perfume, I am sorry but I cannot offer refunds for any perfume. My shop specializes in antique and vintage collectible perfume bottles that may or may not contain perfume. Because of their age and the fact that these have been previously owned (sometimes I can’t determine if the contents of a sealed bottles are original because I do not open sealed bottles), I can offer NO guarantee on the content or (absence of) smell or originality of the perfume. Most miniature perfumes are generally under 3" tall. Volume varies depending on the bottle design, but minis generally contain less than 5 ml (0.17 oz) of fragrance. Bottles less than 1" high and holding between 1-3 ml of perfume are considered micro minis. All fragrance miniature bottles (mini perfumes/colognes) on my site are being sold as collectibles only. Fragrance miniatures were often sold along with larger bottles by the manufacturers as gift with purchases & may have the words "Gift Not For Resale" on them. Please understand that I do not test any of these when listing & do not sell them for the fragrances contained in their bottles as these are old & most of the time they have turned & are no longer wearable. Over the years, I collected thousands of genuine vintage, hard to find & discontinued manufacturer's perfume & cologne samples, but I have to let some go now. These fragrances are old, & are most likely not fresh as they once were & their scent most likely has changed over time, please understand that I cannot guarantee that the fragrance still smells good to you. If a sample is carded, it may show signs of wear & tear from storage. Many of these samples are discontinued fragrances that are no longer produced & are considered collectibles. Please understand that I do not test any of these when listing & do not sell them for the fragrances contained in their vials as these are old & most of the time they have turned & are no longer wearable. Are any duties, taxes or VAT included in my purchase? No. For my international buyers - Buyers are responsible for additional costs caused by import/shipping that is levied by the various authorities in their own country. Import duties, VAT and other possible (tax) charges fall outside the responsibility of me and are the responsibility of the buyer. The buyer is personally responsible to inform themselves in advance of the charges levied in the country where the package is to be dispatched at the request of the buyer. Regarding the transport insurance the actual value of the content of the package is specified to the shipping company. By the laws of your country, you are still responsible to pay these. I, or Etsy, cannot illegally mark an item as "gift" to help you avoid these taxes. Help! Tracking says my order was delivered but I don't have it! If you are international, check with your local post office. Depending upon your country, it might be waiting at the post office for you to pay your VAT or IMPORT taxes before you can receive the package. If it's not there, ask anyone that lives with you and/or your neighbors. If you are USA domestic, first check with anyone that lives with you that might have picked it up for you. You can ask neighbors as well. If no one has seen it, contact your local post office. Once a package is tracked as delivered, the post office will no longer discuss the package with the sender. I am not responsible for a package once it has been delivered, including theft. We offer a free 60 day term flexible layaway plan with a 25% non refundable deposit for purchases over $150. A longer term might be available on request depending on the purchase price. If you would like to avail of our layaway plan simply contact with details of the item. We will send you a customized link to pay the deposit. Once the deposit is paid we will reserve the item for you for 60 days. When you are ready to pay another installment let us know and we will send you another link to pay. You can schedule payments at your own convenience until the item is paid off. I'm an international buyer, what do I need to know? International shipping can take up to 6 weeks. Please be aware that you will be responsible for any taxes, custom fees, handling fees, or other amounts levied by your home country. Please check with your Customs office and/or Postal Service if you are concerned about possible tariffs. I do not know every country’s fees so it is your responsibility to be aware of these before purchasing. VAT is NOT INCLUDED in the listing price. If your country's revenue authority collects VAT, GST, or any other tax/fee, you will have to pay the fee on delivery according to your country's regulations. If your item shows it was delivered but you have not received it, it is likely being held at your local post office/customs office awaiting payment of fees.